At the end of last month we finally purchased little man’s wheels, after first going looking in October/November last year. We didn’t end up with the first one we fell in love with, after gaining some opinions from others. The only large store we have around where we live is Babies r Us, so we went here as they had quite a selection. The first one we set our eyes on was the Graco Quattro Tour Sport Travel System in Super Nova. We fell in love with this straight away. Now it only has a bit of colour, but we liked the features it had, and it matched pretty much the rest of our must haves. Except that it’s not very light weight. Still, we kept it in mind as one of our first choices, as it was within our budget and the accessory pack came free with it too. 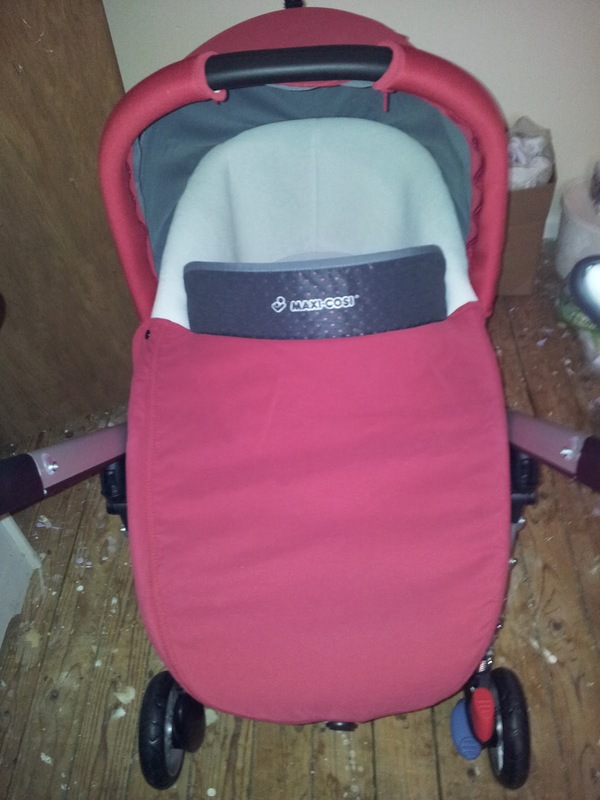 The next one we considered was the Quinny Buzz 3 Pushchair in Rebel Red. Now, I was never keen on Quinny’s before, even though I had heard rave reviews about them. I must admit, it did also fit quite a few of our must haves. We had a little play with it, and I actually quite liked it and changed my mind on it. I do still really like it, but the pushchair alone took the majority of our budget, and the car seat, carry-cot, foot-muff, etc. were expensive (for us/our budget) on top of that. We kept it in mind for a while but then decided we just couldn’t afford it. I also set my eyes on the Oyster With Lime Colour Pack, but again this was out of our budget especially with having to purchase the extras on top. I do still quite like it though. So, as the 2nd & 3rd ones were out of our budget, and we hadn’t seen any more we had fallen in love with, but decided that the Graco was going to be too heavy and bulky, I decided to take to eBay! 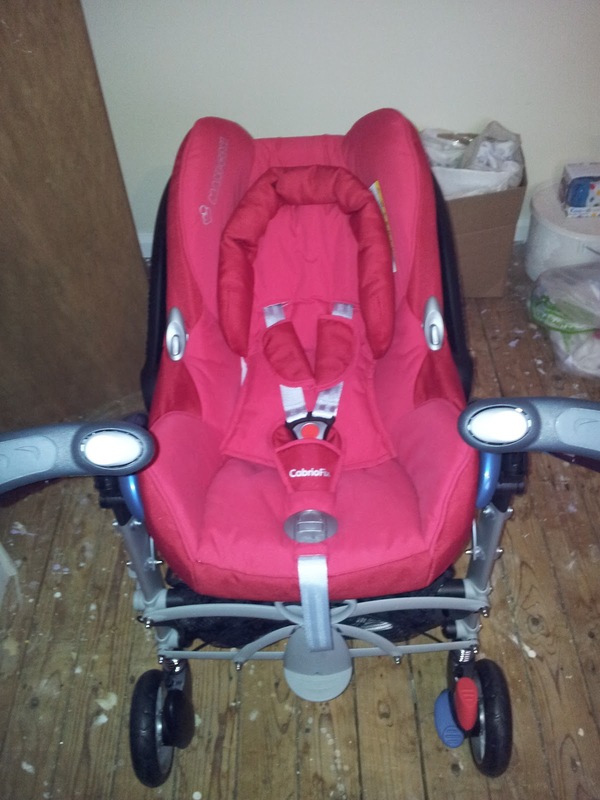 Which was where I came across the Maxi Cosi Loola in Tango Red. We fell in love with it just looking at the pictures. The link I have posted is the newest model of the Loola, ours is an older model so is a slightly different shade of red, but doesn’t look too different physically. We never came across this one in the store, I don’t think they had them in. We decided to take a risk and order it without physically looking at it or having a play (though I researched reviews first and the majority were good – you’re always going to get a few bad ones, but you take from that what you wish)! 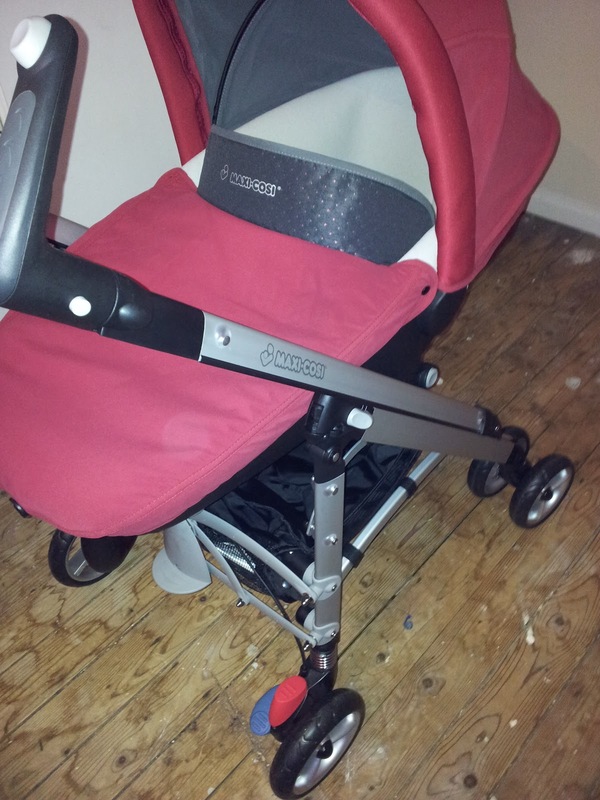 Best of all, it only cost £125 (brand new) for the pushchair, carry-cot & rain cover, whereas with this one we would have only got the pushchair unit and had to have bought everything else separately. 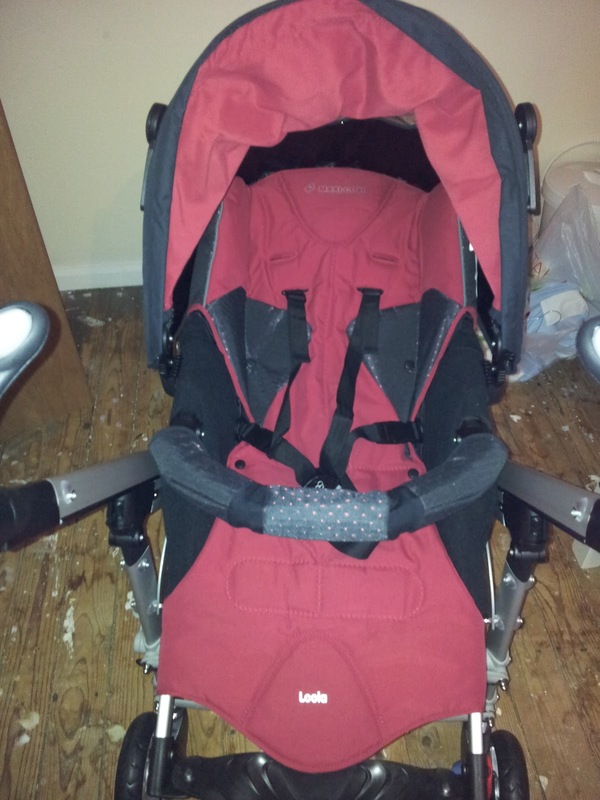 We did have to buy the car seat separately, which is the Maxi-Cosi CabrioFix in Intense Red. This is a slightly different shade of red to the system we have, but the chassis is only black & silver so you don’t really know the difference. We are totally in love with it. Now we just have to buy a foot-muff, and a parasol for the summer, and we are all set and can’t wait to use it for the little man! And best of all, it fits all of our must haves! I love it!!!! It was a bargain too! Everything is so expensive out there!! !